Trees are a great addition to any yard or landscape. They can add texture and levels to an otherwise flat space, and they can draw the eye in with shape and color. If you have a small yard to work with, however, some trees are simply too big to be feasible. Luckily, choosing small trees is easy, and the variety you have to choose from is immense. Keep reading to learn more about the best trees for small lawns. 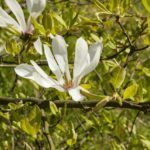 Star Magnolia – Hardy in USDA zones 4 through 8, this tree tops out at 20 feet in height and reaches a spread of 10 to 15 feet. 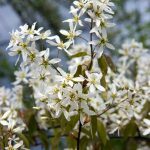 It produces fragrant, white, star-shaped flowers in early spring. It is deciduous, and its dark green leaves turn yellow in the fall. 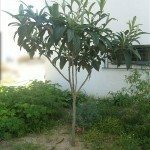 Loquat – Hardy in USDA zones 7 through 10, this tree reaches 10 to 20 feet in height and 10 to 15 feet in width. It is an evergreen with dark green foliage. 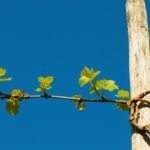 Its buds form in the summer and then bloom in the winter, usually from November to January. Its tasty, pear-like fruits are ready for harvest in late spring to early summer. Japanese Maple – Hardy in USDA zones 5 through 8, these trees come in a wide range of sizes but tend not to pass 20 feet in height and can be as small as 6 feet. Many varieties have red or pink foliage all through spring and summer, though virtually all have stunning fall foliage. Redbud – Growing to 20 feet high and 20 feet wide, this fast growing tree usually only lives for 20 years. It produces stunning white and pink flowers in the spring, and its foliage turns bright yellow before dropping in the fall. Crape Myrtle – These trees grow to a height of 15 to 35 feet, depending upon the variety. In high summer they produce stunning flowers in shades of red, pink, purple, and white. American Hornbeam – This tree eventually tops out at 30 feet high and wide, but it is a very slow grower. Its leaves turn bright orange and yellow in the fall before dropping. 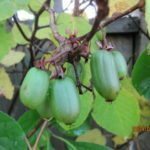 Japanese Snowbell – Reaching 20 to 30 feet in height and width, this tree produces faintly fragrant, bell-shaped white flowers in late spring and early summer. When choosing small trees, be sure to check not only their hardiness zone to ensure they will grow well in your area, but also pay attention to the size at maturity. While a tree may be small when you first plant it, over time it has the ability to grow into a much larger than expected size. You also want to take note of the area in which you’ll be planting the tree to make certain its growing conditions will be compatible with regards to lighting, soil, etc.